20% off all Regular Product! 25% off with 2018 TM Tote Bag! ALL Graphic 45 Monthly Kits are 50% off!! We are going to do a FB video on Friday- if you see anything you must have- we will ship to you! Classes with Suzy West this Weekend! 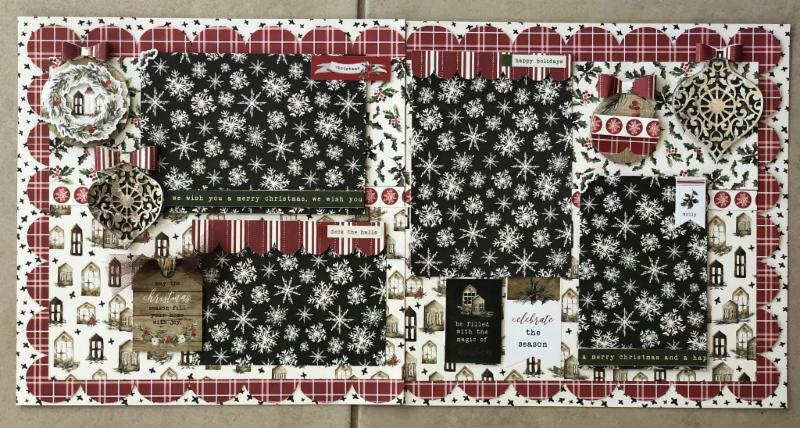 **Note - you can choose between completing the "Carta Bella"
Christmas kit in class OR the newly added "Doodlebug Christmas"
kit in class. See pictures below. Suzy will be bringing a few extra kits as well! This maximizing class is so beautiful! Rich colors, layers, and fun technique will be center of this class! 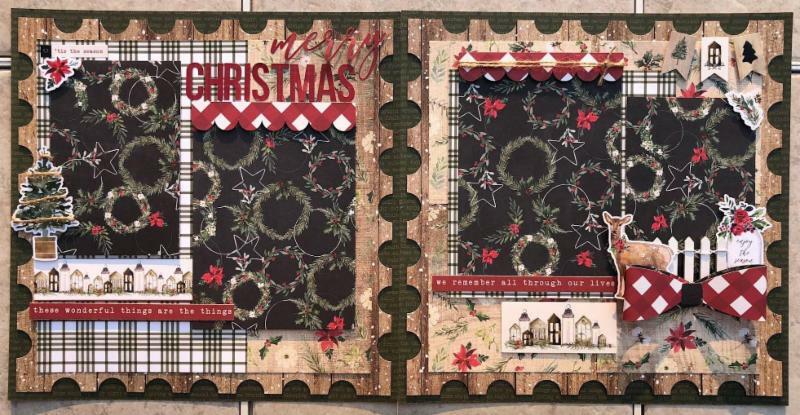 You will be making the two 2-page layouts shown below along with several other pocket style pages to fit at least 40 pictures!! Comes with papers, stickers, sheet protectors, and so much more!! Can be used for Christmas or winter season. 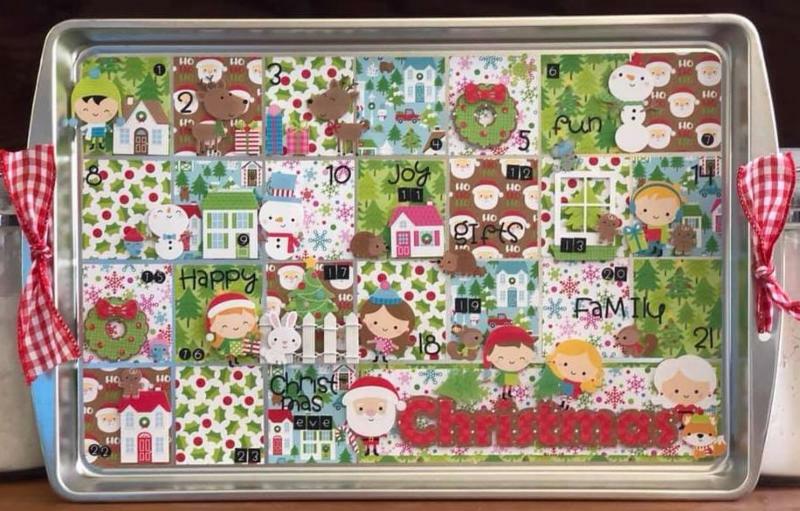 Suzy always designs a new "Countdown to Christmas" class and they sell out fast! 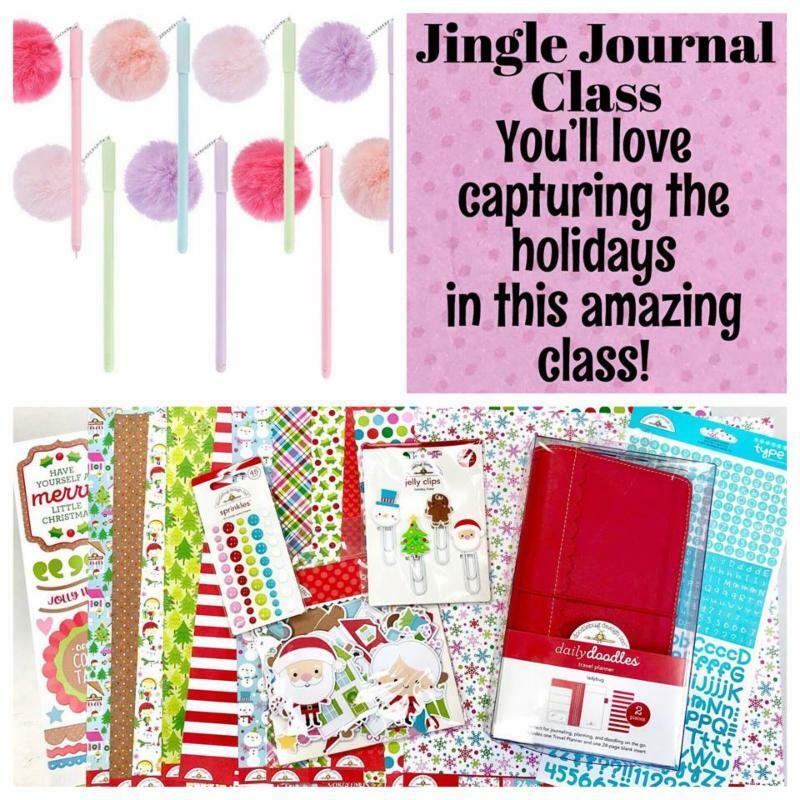 You will love creating this beautiful class that also matches the Journal and tag class!! You'll get the tray (11x14), papers, stickers, gems, and more!! This tag class is simply adorable! 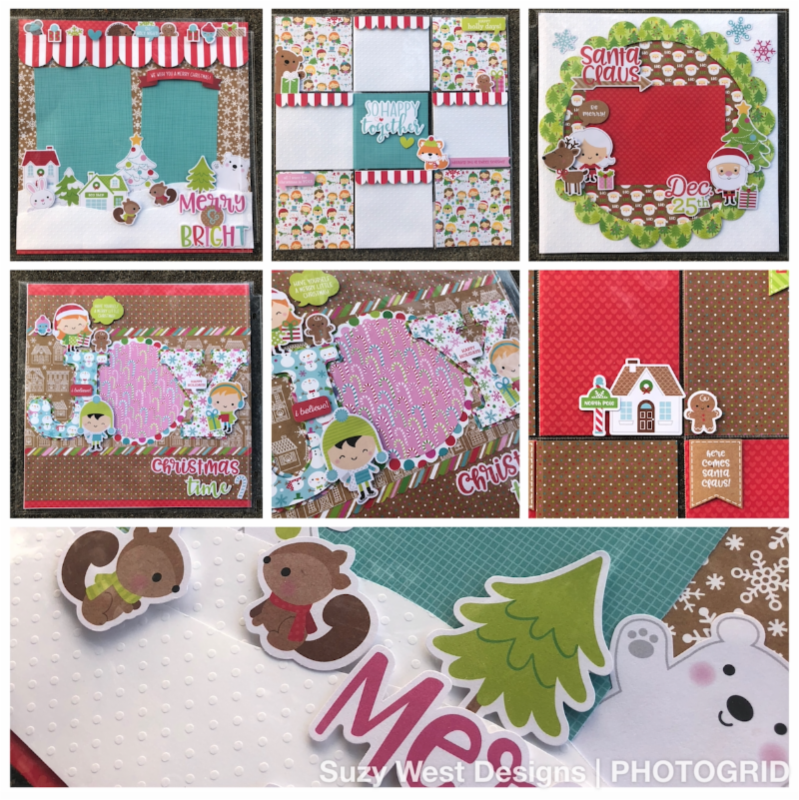 As always, you will learn new techniques, one of which includes making two tags together which will open up for photos, gift cards, or journaling! 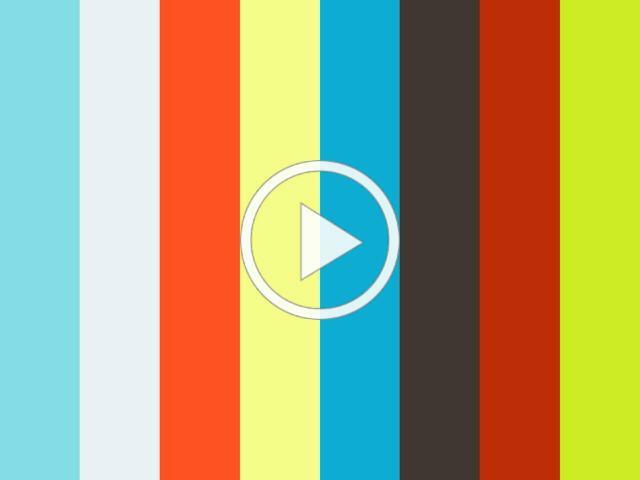 You will love this interactive feature! Call the store to see if there are any kits left. wore, parties, etc. There will be pages for pictures and future wish lists. the cutest box!! Also comes with your journal!! We have a 48 hour cancellation policy for all classes and crops, as the teacher has already prepped for the class. Please call the store 48 hours before the class to receive full refund, if cancelled within the 48 hours, you will receive the kit from the class and no refund. Bring in this Birthday Coupon or show us on your mobile phone to receive 20% off your purchase. *Valid one per person per year during the week of birthday. Must show valid drivers license. @1997-2014 Treasured Memories Scrapbook Store, Inc. Artwork provided by One Little Bird Designs. Simple theme. Powered by Blogger.